Yet another voucher deal (we seem to have had a few of these lately), this time for Whighams. A colleague at work had said the deal seemed good value. So, a friend and I decided to give it a go. The deal consisted of a starter and a main plus a glass of prosecco for two for £26. I had never been to Whighams before. The venue is well established, set just off Charlotte Square. Inside, it has two distinct areas. One is all nooks and crannies from what I assume were cellar areas and the other section is much more modern. We were taken to the modern part for our dinner. The waitress who served us was very pleasant and helpful. I believe from my friend that the prosecco was very good. As I couldn’t have that, I was able to swap my prosecco to a soft drink (which was offered as an option on the voucher) and we were left to peruse the menu. Much of the fish and seafood had supplements on them for the deal as, unsurprisingly, did the steak. If you didn’t want to pay the extra this did limit the options a bit. However, in the end I plumped for the chicken liver pate followed by fish cakes. My dining partner went for Cullen skink followed by breaded haddock (although she had the choice of battered or grilled too so it was nice to have choice). We got given some bread, albeit a little dry, to keep us going but it wasn’t needed considering how quickly the starters came out. So, let’s talk about the starters. 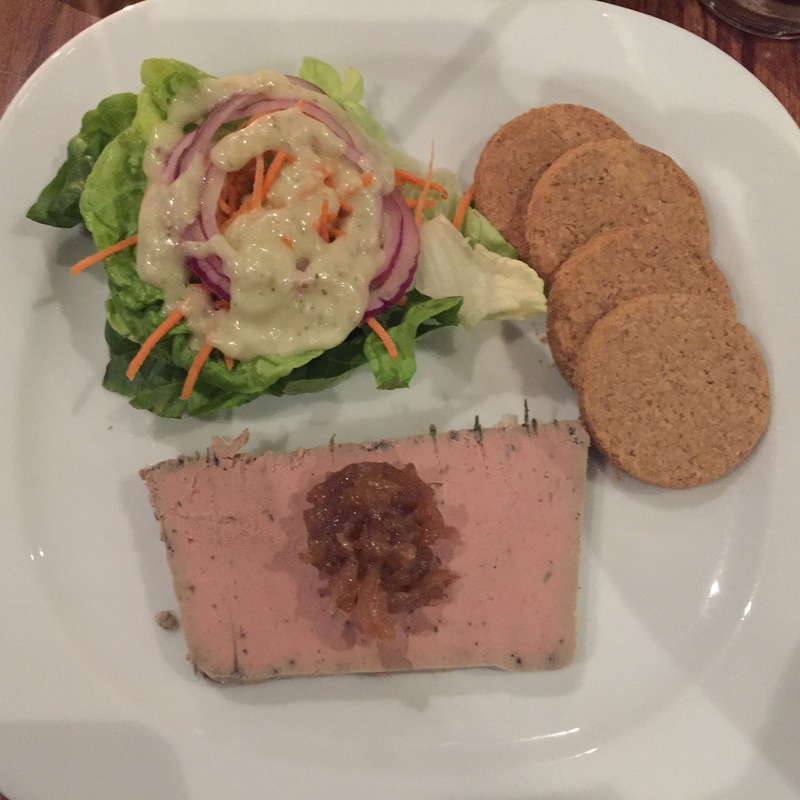 The chicken liver pate was accompanied by a shallot marmalade, oatcakes and a small salad. The pate was smooth but was a little overpowered by the added herby flavours. The shallot marmalade was nice but there was not nearly enough of it to go with the pate. The oatcakes seemed a little small and fiddley to put the pate on (or maybe that’s me and my fat fingers!). The salad was pleasant enough and the dressing was nice but perhaps applied too liberally. 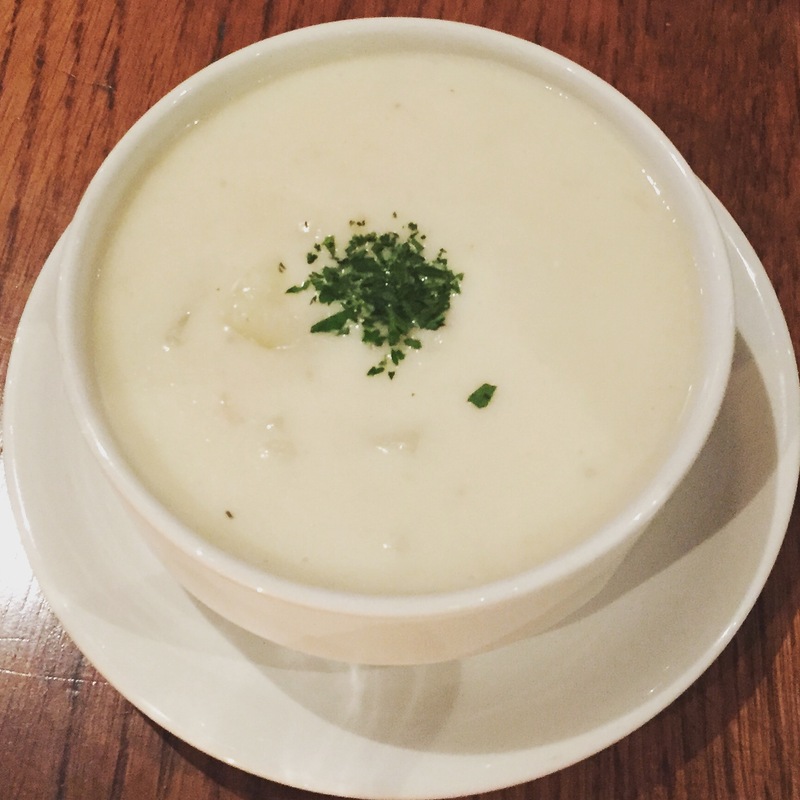 The Cullen skink on the other side of the table looked appetising and did the job but nothing more. The mains came out not long after and I do have to say I was underwhelmed. This looked like poor standard chain pub food. Sadly, the taste really wasn’t much better. 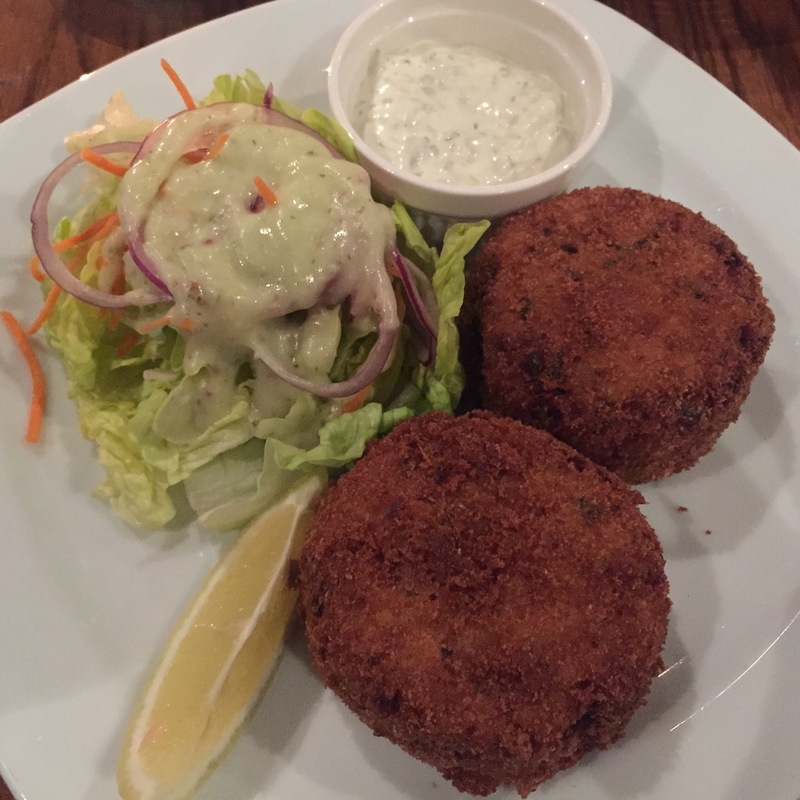 My fish cakes, whilst had plenty of fish in them, where incredibly dry and were only saved by the wetness of the side of tartare sauce. The salad that came with it was the same salad that had appeared with my starter. Whilst I was pleased it had no cucumber, it really didn’t feel like it was part of the dish and it was still overwhelmed by the dressing. This could almost been another starter dish had it not been for the size of the fish cakes. On the other side of the table, another underwhelming dish. The fish was ok but nothing special. The chips seemed to be deep fried oven chips rather than freshly prepared (and if they weren’t, they certainly tasted like it). 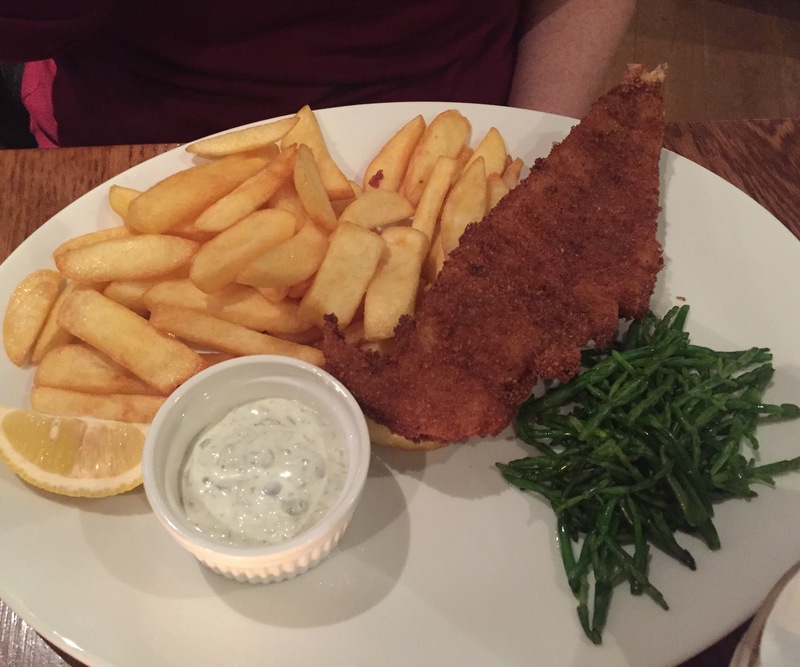 The samphire looked limp on the plate. My perception of a voucher deal is to wow the customer when you get them through the door so they will either buy extra or come back again and pay full price. Whighams sadly managed to do neither. 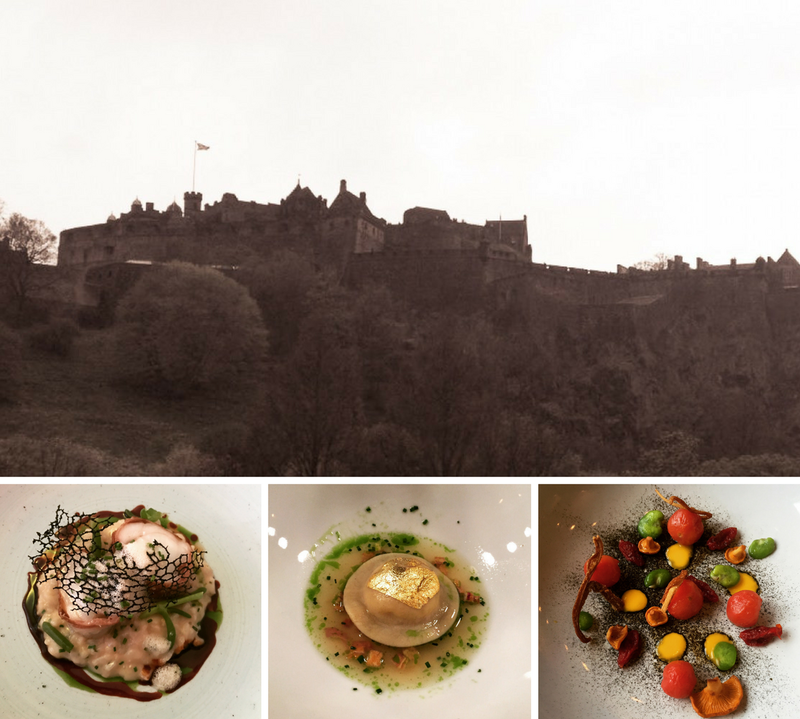 We couldn’t face having a disappointing dessert too so left….and we won’t be going back. Cost – £26 for the voucher deal for two.